I admit up front I’ve been behind the curve in understanding/appreciating the EgglestonWorks house sound. I’m a slow learner, but whenever I finally get something—I’ve got it. Today, in the room sponsored by retailer Tenacious Sound (with stores in Syracuse, NY, Augusta, GA, Jacksonville, FL, and, soon, Louisville, KY), during the world premiere of EgglestonWorks’ very beautiful Nico Evo standmounted speakers, I realized why so many people love this brand: They are super well-crafted, and they seem to do everything very well. They play tidy and well-sorted, but with a wild, super dynamic side. 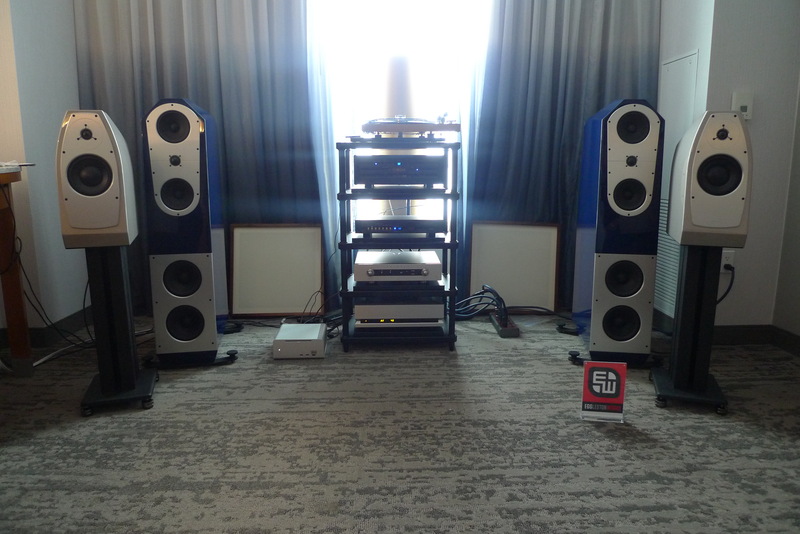 Best of all, the Nico Evos cost only $4295/pair, and sounded great with the Primare I35 Prisma integrated amplifier (with streaming DAC), plus Audience 2.5 Ohno II speaker cables and Audience Forte power cord.